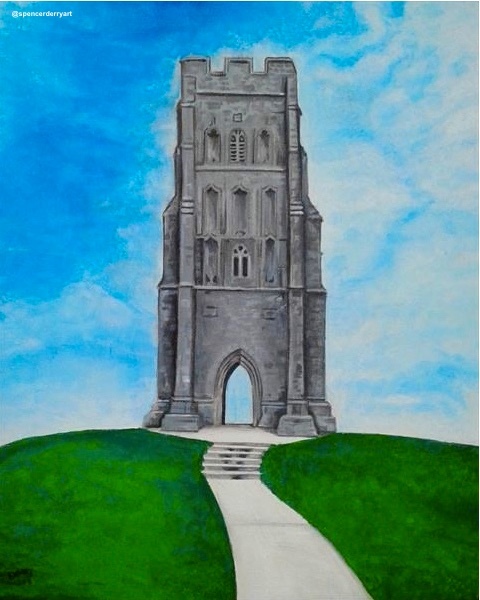 Original hand painted acrylic painting of St Michael's Tower at Glastonbury Tor*, Somerset, England. Artwork Created by Spencer J. Derry in 2016. Media : Acrylic. Pure Cotton Stretched Canvas on Board. Note NOT framed. *Colour of this painting is more vibrant in reality.